Nickelodeon may have figured out how to bring back the audience that flocked to it in the '90s: rerun all of their favorite shows from that era. 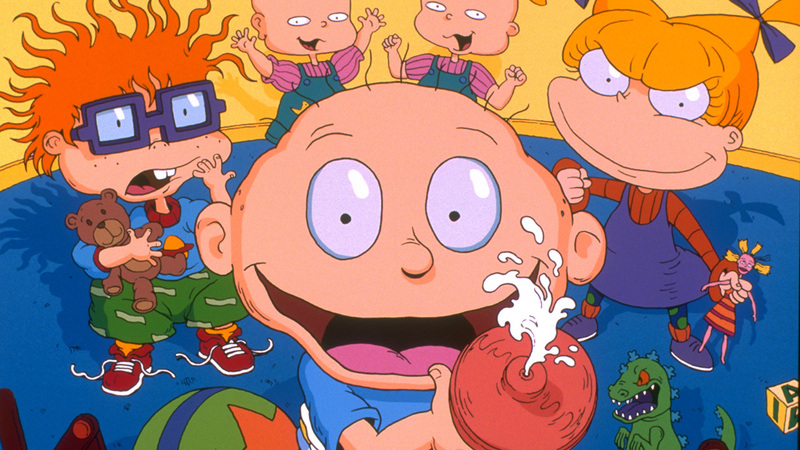 Its sister network, TeenNick, will air many of Nickelodeon's iconic '90s shows as part of "The Splat," a new programming block airing eight hours each day. Launching Monday, Oct. 5, at 10 p.m., "The Splat" will feature a rotating lineup of series, with themed weeks and monthly programming. The shows will include All That, Angry Beavers, Are You Afraid of the Dark, CatDog, Clarissa Explains It All, Hey Arnold!, Hey Dude, Kenan & Kel, Ren & Stimpy, Legends of the Hidden Temple, Rocko's Modern Life, Rugrats, Salute Your Shorts and The Wild Thornberrys, with more series rolling out later in the year. The first week's theme is "First Time for Everything," which features the first two episodes of many of those shows. "The Splat" will also resurrect '90s Nickelodeon promos and interstitials like the Doo-Wop Dinosaurs and stunts like Nick or Treat. "We have been listening closely to our first generation of Nick kids that are craving the great characters and shows they grew up with watching Nickelodeon in the '90s," said Cyma Zarghami, president, Viacom Kids and Family Group, in a statement. "We designed 'The Splat' with fans and their requests in mind, which means we're bringing together these beloved series and a high level of digital engagement to give fans a retro media experience they can't get anywhere else." In addition to the new programming block, Nickelodeon is also launching TheSplat.com, which will pull '90s Nick-themed content from The Splat's various social media channels. Also on the way: a Splat-branded emoji keyboard—available in early October on iTunes and Android—with emoticons, stickers and GIFs based on the shows. To help build buzz around today's announcement, Kenan & Kel stars Kenan Thompson and Kel Mitchell reunited Tuesday on The Tonight Show with Jimmy Fallon, performing an updated Kenan & Kel sketch with Fallon. TeenNick's multiplatform "The Splat" is an updated version of the "The '90s are All That" block the network launched in 2011. In recent years, several networks have been trying to woo millennials by reviving the '90s TV shows they grew up watching. Last year, Disney Channel launched its Boy Meets World update, called Girl Meets World. Netflix has reunited the Full House cast for a new series, Fuller House, due out next year. And Will Smith is developing a revival of his NBC sitcom, The Fresh Prince of Bel-Air.